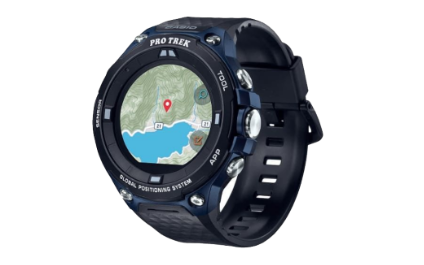 SHINY NEW GADGET OF THE MONTH: The Casio Pro Trek Smart A Watch Built For Adventure - Conway, Myrtle Beach, Georgetown | Creative Consultants Group, Inc.
Today, a lover of the outdoors needs to demand more from their devices if they’re going to get the most out of their adventures. The best tech boasts robust, easy-to-use features for when you need them but gets out of the way, leaving you to focus on the grandeur surrounding you. Luckily, the Casio Pro Trek Smart WSDF20ABU watch does exactly that in one attractive, intelligent package. Every capability you’d expect from an outdoors-focused device is overhauled here – from the altimeter to the barometer and even the feature-rich compass. Perhaps the best tool is the full-color map you can display on its face, which detects and displays changes in the atmosphere and weather up to the minute. If you’re looking for a sturdy, powerful tool to bring along on your next excursion, it’d be tough to do better than this.